Red is a high visibility color and creates urgency. It gives people the idea that they have to act now and fast. It can also give the feeling of fear and danger so it’s a color to be cautious of using. If you want something that invokes courage, energy, and quick responses, then red is a great color. Black is associated with elegance and formality. On the other hand, it can also be associated with mystery and evil. Black is a good choice if you want to convey prestige and authority. Orange represents creativity, happiness, success, and stimulation. It also has a high visibility but it’s not as intense as red. This is a good color to go with if you want to inspire and encourage others. It’s also said to be great to promote food and toys. Yellow is associated with cheerfulness and stimulates mental activity. It can be hard to see though, so you want to choose a color that will compliment it to have the greatest impact. Also, it is seen to be lighthearted and timid so be wary when using this to promote products that are for men. Green symbolizes freshness and growth so it’s common to use for environmental products or to ensure safety. If it’s a darker shade of green it can be associated with money and greed so consider what you’re trying to portray when choosing a shade. Blue is associated with trust, loyalty, serenity, and confidence. This is a good dependable color to choose but if you want something that stands out more, you may consider a different color. Purple symbolizes wisdom, dignity, and magic. It’s also associated with wealth and luxury so if you have a high-end product, purple is a good color to incorporate. 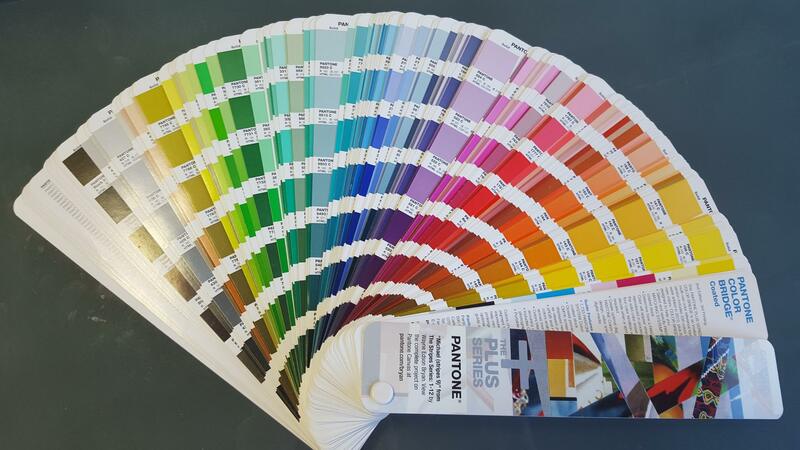 When it comes to choosing a color for your business, it really is about what works best for your brand and style. If you need help choosing the best for you, or just want inspiration and ideas give us a call.